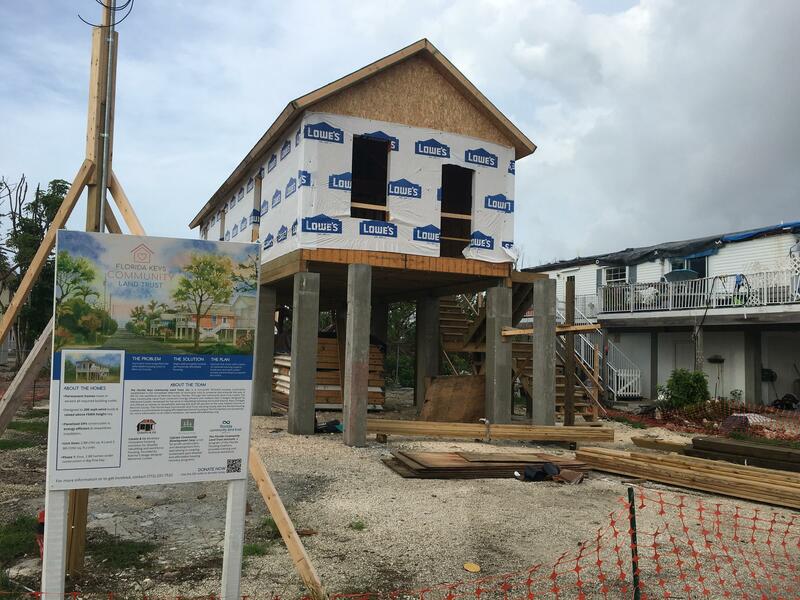 The Florida Keys Community Land Trust has four cottages under construction and hopes to finish eight by the end of the year. There’s a lot of federal money coming to the Keys to help out, but it won’t get there for awhile. But there's already at least four new homes going up in the Avenues. They’re being built by the Florida Keys Community Land Trust, a new nonprofit group that has a million dollars in seed money. Marianne Cusato is the architect who designed them. 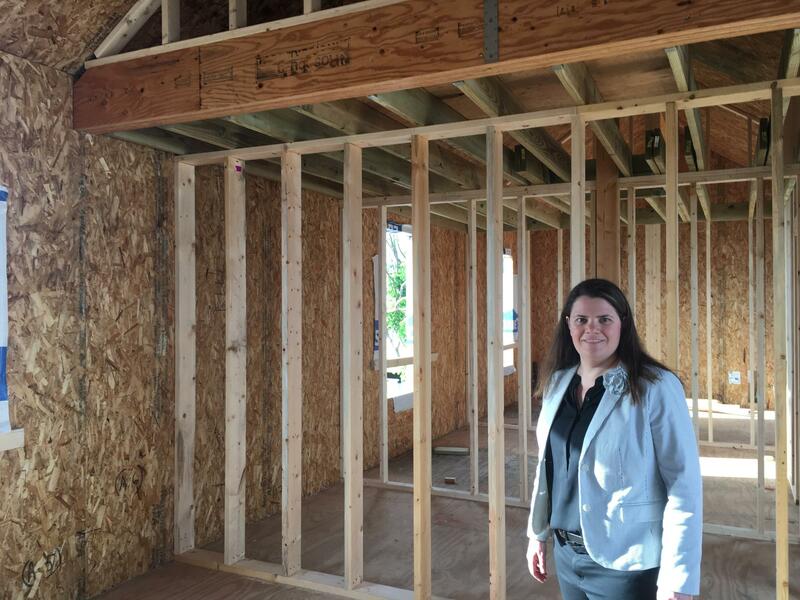 Her firm specializes in emergency and workforce housing after disasters. Architect Marianne Cusato says her goal is that when someone sees a home she's designed, they never know she's been there. She said she got into that field in 2005. While trailers appear to be an affordable, quick solution after hurricanes, they wind up costing money, she said. “You have the initial cost. Then you have the cost to maintain it because it’s not meant to really be lived in and also then the cost to throw it out because you can’t use it afterwards. There’s nothing left. It goes to a landfill,” she said. The goal of the Katrina cottages, and now the Keys cottages, is to avoid that waste. It's “a long-term solution to this immediate need,” she said. The homes are intended for people who live and work in the Keys and for now, will be affordable rentals, owned and managed by the land trust. The land trust bought the properties, which had homes destroyed by Irma, then sold the land to Monroe County. The houses now under construction are 760 square feet with two bedrooms and one bath. “We’re raised up above FEMA flood heights and it helps you catch some breezes and keep things naturally cool. We have windows on multiple walls for cross ventilation and good light. And it’s designed to be here for the long run,” Cusato said. 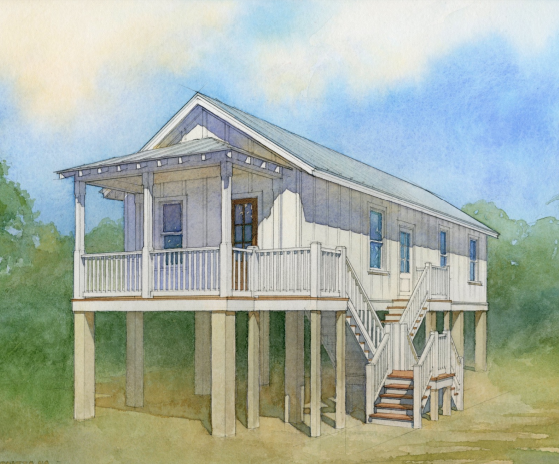 The Keys Cottages designed and built by the new Keys Community Land Trust are simple and intended to reflect local building styles - but are elevated and built to withstand 200-mph-winds. It’s a simple design — a rectangle with a kitchen/dining living room in the front, the bathroom and secondary bedroom along a hallway in the middle and the master bedroom across the back of the house. The design, Cusato said, “looks to the homes of the Keys.” She said the homes she designs are “a variation on a theme,” meant to fit in where they’re built. Cusato said her goal is that no one who sees or lives in the cottage realizes she was there. At the corner of State Road 7 and Coral Bay Boulevard in Margate there’s what looks like any ordinary luxury apartment complex being developed. 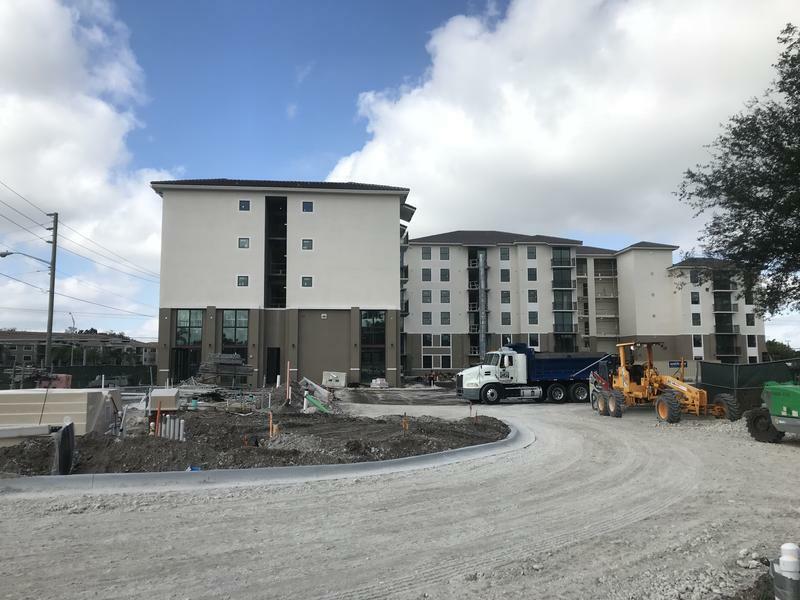 It may still be a construction zone, but the 100 units have all steel appliances, granite countertops in the kitchen and tile flooring. Outside there will be walking trails, a swimming pool and outdoor fitness stations. 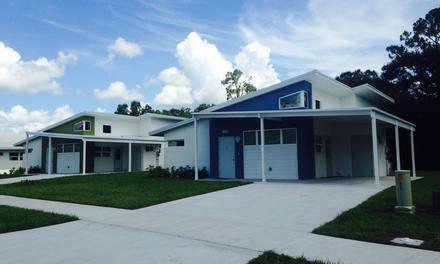 There’s a neighborhood in Southwest Florida that’s changing the way people think about affordable housing. 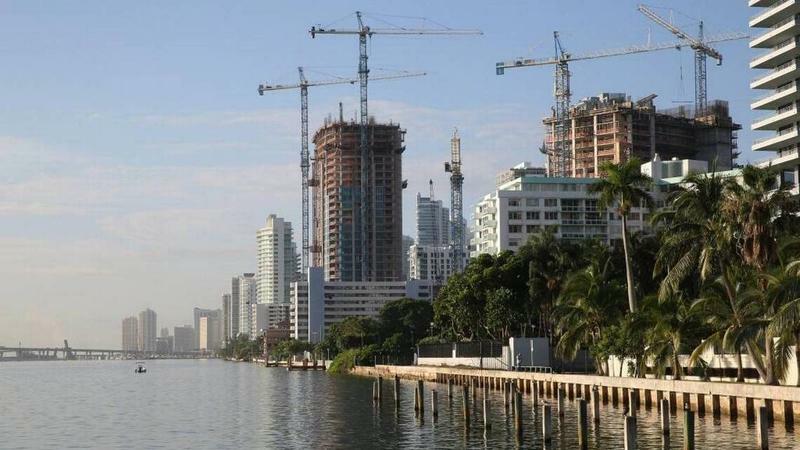 The Keys already had an affordable housing problem, before Hurricane Irma. Then that storm destroyed thousands of homes and is already driving up rents. 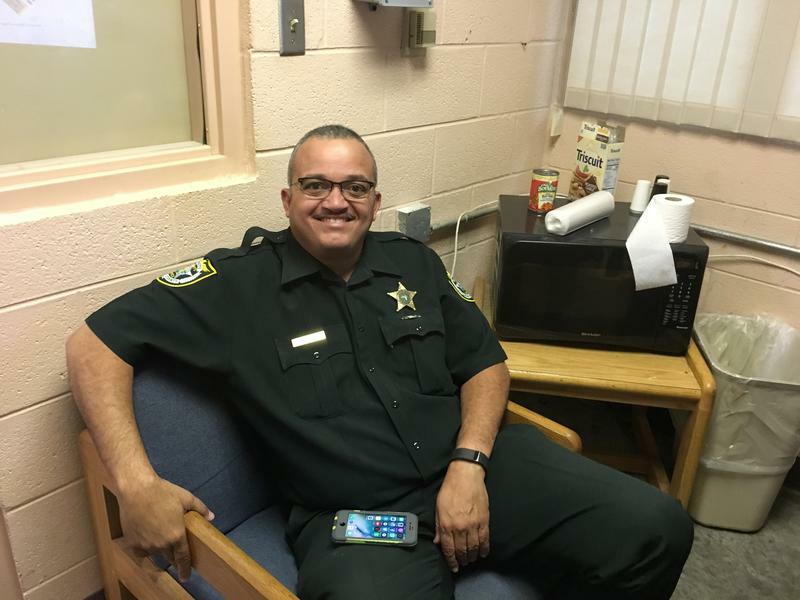 So some government agencies in the Keys are looking at going into the landlord business.